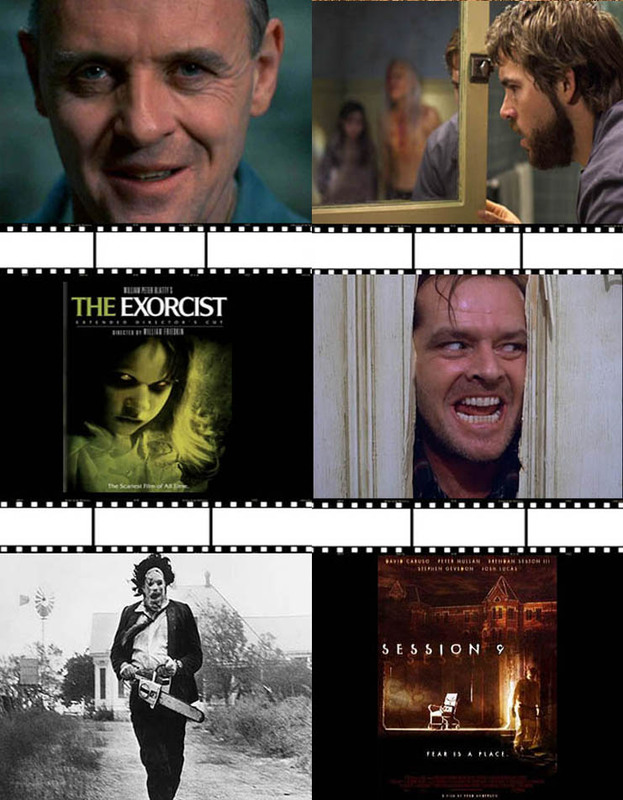 In keeping with our spooky Wednesday trivia theme, today’s topic is horror movie trivia! I know not everyone enjoys the feeling of being curled up in a dark room with a pillow to hide your eyes and a scary movie on the television, but its one of my favorite things to do! Especially if its a creepy supernatural thriller involving the unexplained (movies about sadistic maniacal killers don’t do much for me) that’s showing, because that just gets my adrenaline going! Anthony Hopkins won an Oscar for his leading role in “Silence of the Lambs” although he was only on screen for just over 16 minutes…the least amount of time a lead actor has ever won the award. Charles Manson, Lee Harvey Oswald, and James Earl Ray are indirectly responsible for the naming of the infamous “Chucky” doll, whose full name in the film was Charles Lee Ray. In the 1973 horror film “The Exorcist” Regan’s bedroom was cooled by air conditioners to temperatures of around 30-40 degrees below zero—so cold that sweat on the crew and cast would freeze. At one point, there was so much moisture in the air that a flimsy layer of snow began to fall on the set. When “The Texas Chain Saw Massacre” was released in 1974, filmgoers were so terrified by the sneak previews that some actually walked out. In the 2005 remake of the “The Amityville Horror“, Ryan Reynolds purposely distanced himself from his child co-stars so that he’d have less trouble being cruel to them during the latter scenes in the movie. “The Shining” director Stanley Kubrick convinced the MPAA board that the bloody water emerging from the elevator in his trailer was really “rusty water.” He did so to get the trailer approved. The 1991 Fox TV film, “The Haunted” is based on real events happening to the Smurl family. However, this movie has never been released to video and cannot be purchased in stores.